Looking for an adventure for the entire family? Click for our Bear Crawler ATV tour! Zip over Lost Mine Falls! A 2 hour zip line tour over 7 lines. An absolute blast for the whole family, including children as young as 7 years old! Thrilling family fun! Want to zip but are strapped for time? You are in luck! 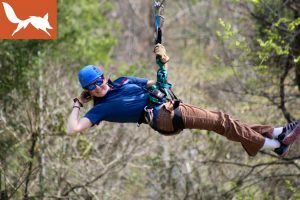 We created the “Lite” Canopy Tour, which is a shortened version of the full Waterfall Canopy Tour, to allow you to zip in 1.5 hours! Do you have what it takes to defeat Goliath? 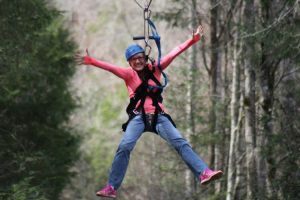 The highest, longest and fastest zip line in the Smokies! 475ft up and at a screaming 55mph! This one is a giant among zip lines! Go off-road in our 8-wheel drive ATV on rugged off-road trails dodging trees and riding through water to make it to the top of the mountain! Great fun for the whole family! This is adventure your family will never forget! Cross America’s Bridge to Prosperity, a 335 ft swinging bridge crossing over Foxfire Gorge, which leads to beautiful trails and scenery on Prosperity Mountain! This is definitely something you don’t want to miss! Explore the Bridge, Hiking and more! Get it all with the Total Challenge Pass! Gorilla Climbing Wall, Aerial Ropes Course and Swinging Bridge – all day – for one low price! Over 60 feet high and has five climbing lanes of varying degrees of difficulty, this state of the art wall is a fun adventure for everyone age 5 to 95! An exciting self guided ropes course where you are securely tethered throughout the entire 12 elements which includes balance beams and zip lines! We are located at the address listed below, which is 12 miles (about 25 minutes drive) from Pigeon Forge, Gatlinburg and Sevierville. Use the address below for GPS navigation, and when viewing this page on a mobile phone you will see an option for turn by turn directions. 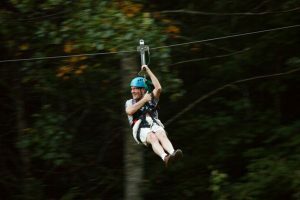 Since 2010, Foxfire Mountain has provided the best zip line experience in the Smoky Mountains. Once a farm in the middle of a picturesque valley has now been converted into a family fun destination spot. 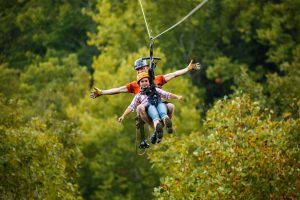 Top 5 Hidden Gems for Family Fun in Gatlinburg!